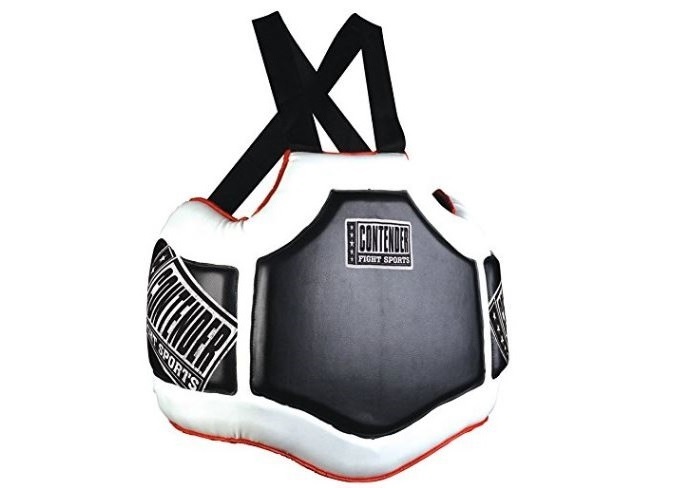 This article will be reviewing the Contender Fight Sports Heavy Hitter Body Protector. A body protector is a tool for practicing various striking drills involving hits to the body without needing the striker to hold back their power. Do not mistake this body protector for the slimmer and lighter chest protector used in point fighting competitions. The body protector is a larger version of the belly pad used by Muay Thai practitioners and is commonly paired with focus mitts or thai pads. Physical Appearance: Simple and clean looking body protector. This Contender body protector is only available in the color scheme shown in the featured image. Padding: Contender’s body protector has thick foam paddings that absorbs and distribute the impacts from each strike thrown during mitt holding sessions. It will protect your abdomen and sternum. Furthermore, this body protector has extra padding extended from the midsection and the sides. Exterior Material: Synthetic leather covers the front side of the padding. Material used on the backside of the body shield is a soft fabric. This fabric will absorb sweat and is not as easy to clean as the synthetic leather. Adjustable Straps: The Contender body protector has two straps that will run over your trapezius and crisscrosses behind the back. Another strap runs along your lower back. Each of these straps are made out of heavy nylon. 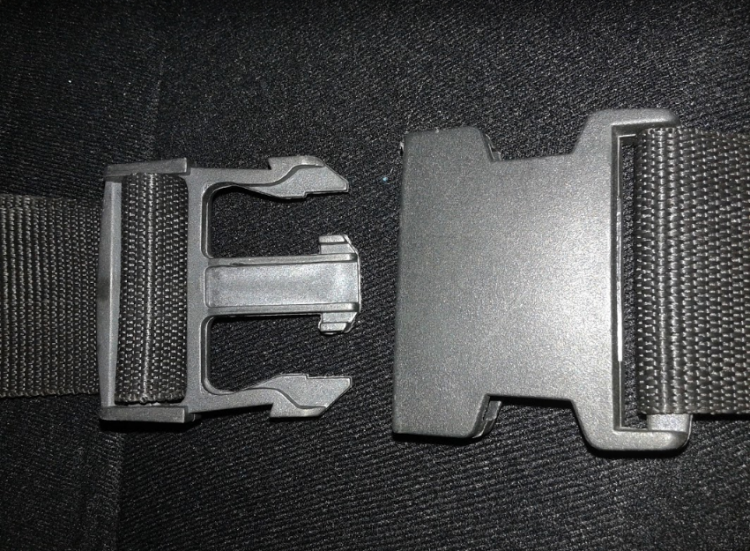 Strap Buckles: The buckles connecting the waist straps together are made out of plastic. This feature means you can quickly and easily put on the body protector without assistance. In addition to that, you are able to adjust the waist straps tightness after locking the buckles together, as needed. This video shows an example of how the Contender Body Protector can be integrated into your training sessions. The ability to adjust the tightness of all the straps is a great feature, since you can alter it to fit different body types, especially if you are taking turns being the pad holder. However, I do not believe the Contender body protector is ideal for slim body types. It does not fit as snug to my body as I would like. After putting the body protector on and adjusting the waist straps as tight as I could, there is still a small gap between my sides and the body protector. That said, the body protector does not really shift too much and stays in place, for the most part, when strikes to the side of the body like hooks and kicks are thrown. Even though the Contender body protector is large and thick, its foam padding is relatively light. 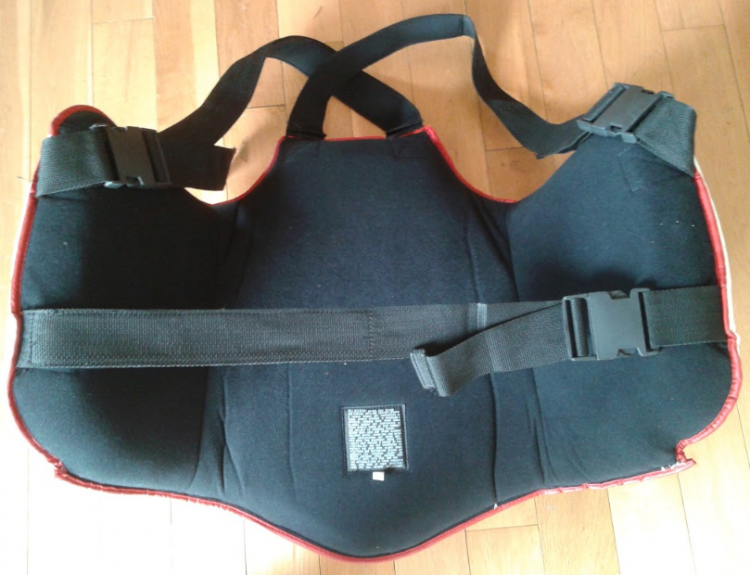 This is beneficial because it allows individuals to use it for long extended period of time without having the body protector feel too overbearing and causing fatigue to their trapeziuses. The synthetic leather may not be as durable as genuine leather, but its combination with the Contender body protector’s quality construction provides a tough and sturdy training accessory. Furthermore, the straps on my body protector has not shown any sign of wear and tear yet. However, I do notice that threads in different parts of the body protector is coming loose over time. For example, the nylon strap is still solid, but the threads attaching it to the body protector are getting a bit loose in the corners. I find the plastic buckles for fastening the body protector’s waist straps together to be better than velcro straps used in other body protectors and belly pads. With these buckles, you do not have to worry about the straps coming apart during training or how the velcro’s stickiness may wear out over time. The thick and dense padding by the body protector can absorb all types of striking techniques, such as punches, knees and kicks. It may not prevent you from feeling strikes being thrown at 100% power by a larger opponent. However, you should be able to take what is left of the power transferring to your body. The protection for the sternum is a nice touch, since it allows you to work on targeting your strikes directly to the sternum and this opportunity does not exist with a belly pad. I have found the Contender Body Protector to be available for sale in the price range of $50-80, excluding shipping and tax. I would recommend doing a little research to save yourself some money if you are truly interested in this product. A typical body protector range from as low as $30 to well over $200. If you could find the Contender body protector at the lower end of the price range listed initially, then I believe this equipment would be a great investment at a reasonable price for developing and progressing the stand up skills for you and your fellow training partners.